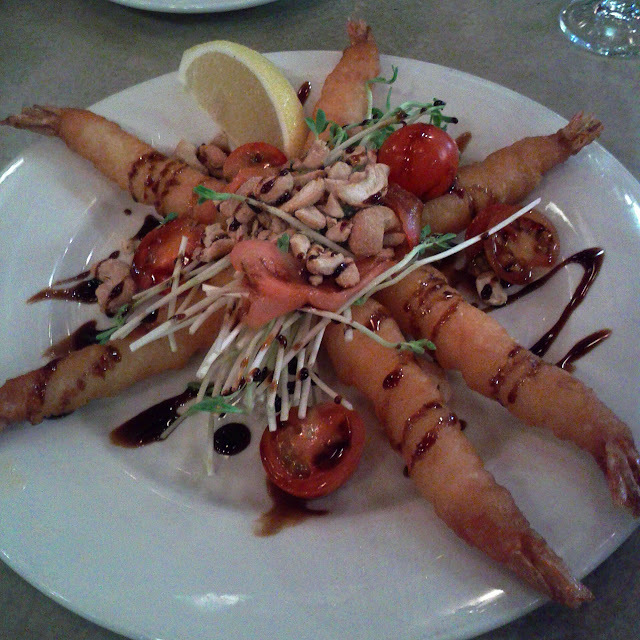 We had lunch several years ago at the Torquay Pub and decided to give it another try for dinner on a Saturday night. The building seems pretty modern with pictures inside of older incarnations. 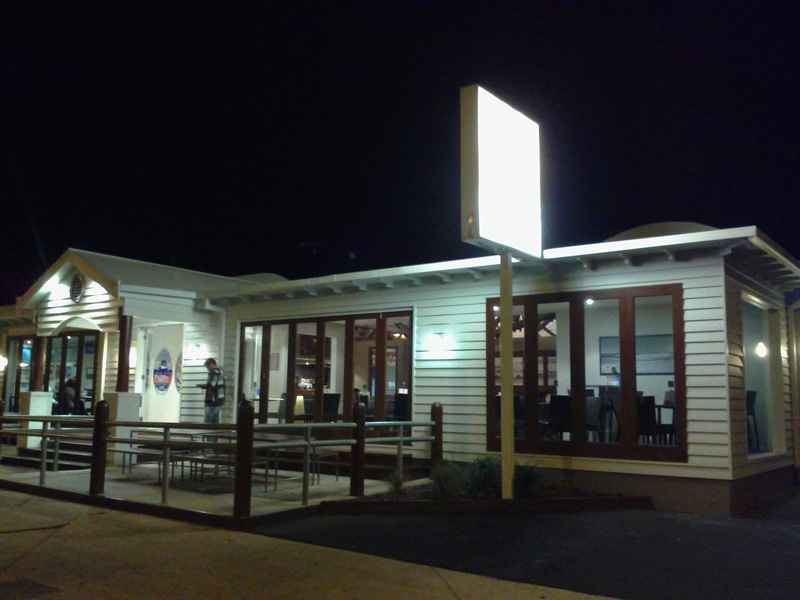 Inside there were a couple of front sections and a bigger bistro area further back where we sat with several other tables of diners, before reaching the pokies. 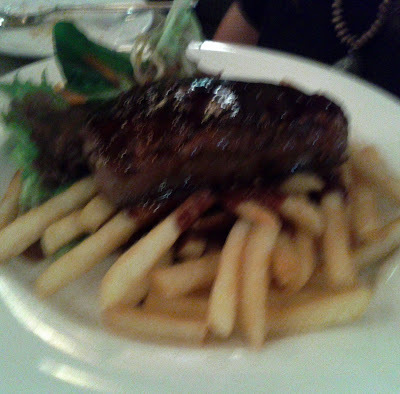 The 300g porterhouse steak with seeded mustard jus with chips and salad was a little on the bland side. 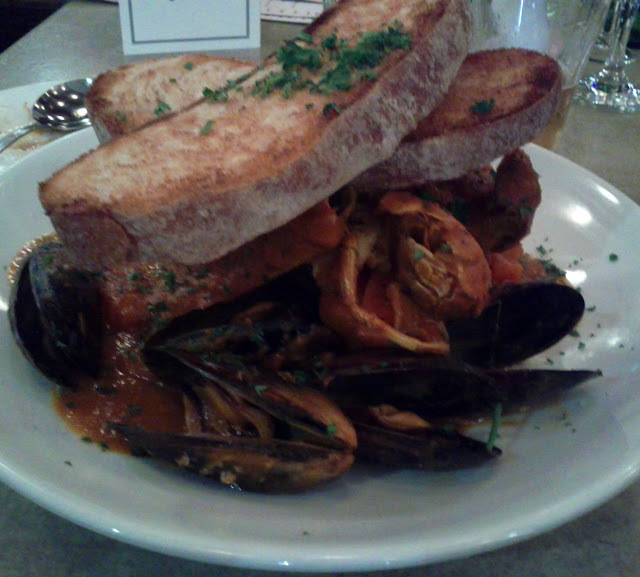 I had the Moroccan seafood stew with couscous and sour-dough. The stes contained a generous mixture of morton bay bug, mussels, scallops, prawns and squid in a tomato based broth. Whilst it was well prepared the dish lacked any strong Moroccan flavours.